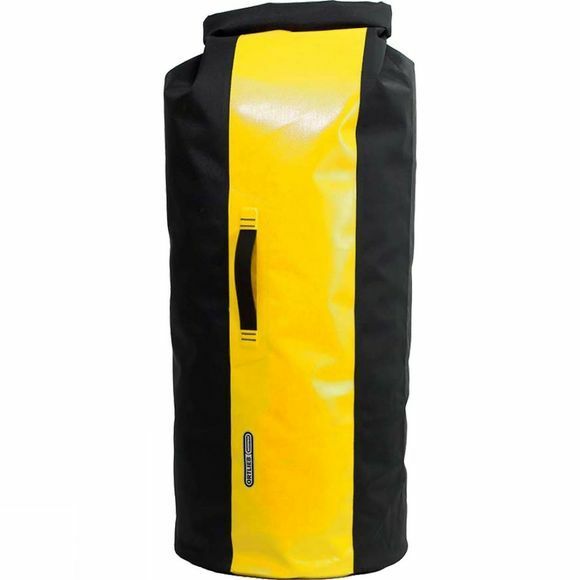 A super-rugged drybag for use in harsh environments. Using the proven drybag design – a cylindrical sack with a waterproof roll-top closure – this heavy duty workhorse is made in extremely tough fabric, shrugging off the sort of scrapes and abrasions found in caving and big-wall ascents. D-rings on the buckled closure and a welded loop on the base provide useful lashing points for strapping down to roof racks, boat decks and the like. A carry handle on the side makes it easy to manouevre when packed with heavy gear, and the base loop also comes in useful when shaking out tightly packed loads.